MVI (Motor Vehicle Inspection) decals must be checked as part of the CDL pre trip inspection to ensure these are valid. All commercial vehicles have an MVI decal - the Motor Vehicle inspection. Commercial (CDL) vehicles have to have an annual inspection to ensure the safe operation of the vehicle. School buses will have it every six months. 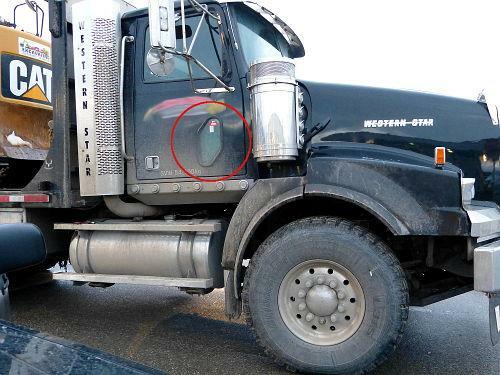 And as part of your pre-trip inspection you have to ensure that the MVI decals--the safety decals--are valid. If they are expired and you get pulled onto a scale, you're going to get a fine. If you get a fine, you're going to end up working the day for free. And nobody wants to work for free. The MVI decal, or the safety decal that is on all commercial vehicles. On tractor-trailer units, it's on the passenger door, either down on the little window down at the bottom as you can see here in the image, or it's up on the top of the passenger window. It's kind of a pain if it's up on the top of the passenger window because if the window's rolled down often times it can't be seen. However, one of those things that if they can't put it on the door, they put it up on the passenger window. 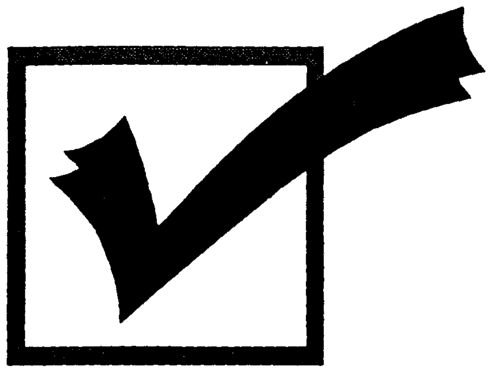 Don't Fail Your Pre-Trip Inspection Test...Buy the Course! ♦ multiple choice questions that will test your understanding of terminology. If it's on the trailer, it's on the front passenger side corner, as you can see here in the image. If it's on a van, it'll be on the front windshield on the passenger side up in the top. If it's on a bus, or school bus, it'll be on the door. If there isn't a place they can put it near the passenger side, as you can see here in the image there's a little window on the side of the school bus and it's there located on the side of the school bus. For the most part, school buses and trucks will have an annual MVI (motor vehicle inspection) that will be up to date. It's unlikely that the truck or bus is going to be out of date. Where you're going to find an annual inspection sticker that is out of date is on the trailer. So drivers operating truck and trailer unit, it is important to check the sticker on the trailer. As well, how to read the sticker - how to know when it expires. It's right on the sticker. Expires the last day of the month shown. So you look for the last day: some of them will cut it out to the last month. 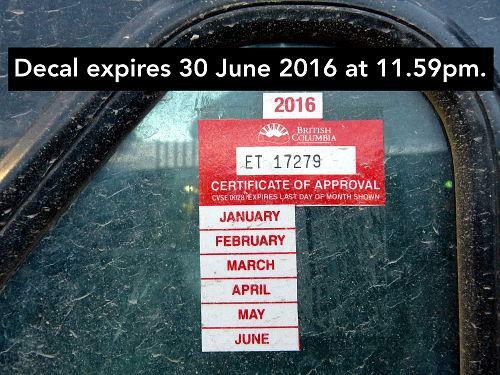 If it's July, for example, it'll be July 31st of whatever year is shown on the expiry decal. So when all else fails, read the decal, figure out what date it expires because you don't want to call the company and say: "Ah by the way, the MVI decal's expired on this trailer!" And they say: "Ah...no it's not; it's good to the end of the month." So know that it's always good until the end of the month. If you want to be really technical about it, it's 11:59 pm at the end of the month. One other piece of information that you need to know about the MVI decal is is as you can see, there's a number on it. The number corresponds to the paperwork in the truck. In the truck there will be an MVI report that is part of the registration and licence of the vehicle. There will be one for the truck and there will be one for the trailer. In the case of a bus there will only be one. But for truck and trailer unit there will be one for the trailer - it'll be on the trailer, located with the paperwork for the trailer. The truck, it'll be inside the cab with the registration and insurance. 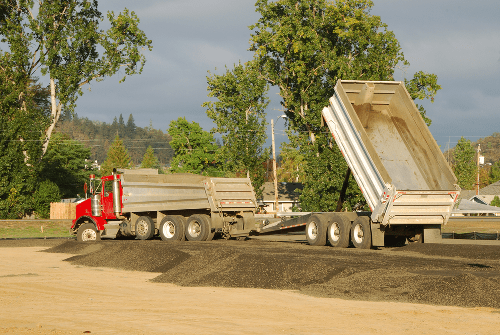 When you get pulled into a scale--when and if you get pulled into a scale--part of the paperwork that you have to take inside is the MVI report for the truck and trailer. Or the MVI report, registration and licence for the bus or other vehicle that you may have. All commercial vehicles have MVI decals. All commercial vehicles have to have an annual or semi-annual inspection to ensure the safety of the vehicle. As a commercial driver it is your responsibility to ensure that these decals are up to date and valid. You cannot operate a vehicle that has an expired safety decal. If the safety decal is expired, the vehicle is out-of-service and cannot be operated until it has an annual inspection.